The decision to appoint a Committee follows a visit by a FIFA delegation to the country last month to assess the situation surrounding the national body. The visit came after NFA elections did not take place, despite the terms of NFA Executive Committee members concluding on December 5. According to the AllAfrica website, the FIFA delegation warned "there are two factions within the NFA that are irreconcilable and that this situation is adversely affecting football as a whole". "The [FIFA] Bureau took note that this situation of paralysis has even resulted in the cancellation of football matches because the NFA could not pay for expenses." It was also found that there had been "several occurrences of financial mismanagement and conflicts of interest". A FIFA statement confirmed a Normalisation Committee had been appointed, with the body set to take charge of the NFA’s daily affairs. FIFA claim this will ensure the members of the NFA whose Executive Committees are out of mandate will organise and conduct the relevant elections. 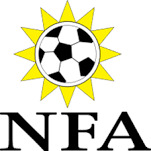 This would be followed by the organisation of elections of a new NFA Executive Committee. As part of their remit, FIFA’s Normalisation Committee will also act as an electoral committee for the elections. None of the members of the Normalisation Committees will be eligible for any of the open positions in the elections. The Committee will be in place until no later than May 31, FIFA claimed. Namibia are not the only African football governing body currently being run by a Normalisation Committee. There is one currently running the Ghana Football Association following former President Kwesi Nyantakyi resigning from all of his roles in the sport following corruption allegations. A Normalisation Committee is also in charge of daily affairs at the Madagascar Football Association, while a similar body were recently ran proceedings at the Cameroon Football Association. This ended last month after a new Executive Board were appointed in Cameroon. Elsewhere in the world, the Football Associations in the Dominican Republic and Uruguay are both being run by FIFA Normalisation Committees.